Imagine eating in a food court and listening to research that could have an impact on your life? Is this turning research into action? Maybe not but it would contribute to public awareness of the impact of research on society. Imaginez-vous, attablé dans une aire de restauration, écoutant des recherches qui pourraient avoir un impact sur votre vie. Est-ce vraiment mettre la recherche en action? Peut-être pas, mais cela pourrait contribuer à sensibiliser le public à l’impact que peut avoir la recherche sur la société. The actual quote was “Every shopping mall needs a Thai Express, a Roots and an Innovation Panel.” We heard this at the Symposium of the Ontario Research Chairs in Public Policy that York University organized on behalf of the Council of Ontario Universities. The eight Ontario Research Chairs were joined by panelists from academia, the media as well as speakers from the public, private, community and health care sectors. The audience (over 100) was mainly provincial policy makers, researchers and students. Knowledge mobilization underpinned the theme of “turning research into action”, the action being Ontario research informing Ontario public policy. The second day (March 6) opened with the panel “Job Creation: What’s Research Got To Do With It?” which featured Suresh Narine, the Ontario Research Chair in Green Chemistry and Engineering at Trent University. In his opening remarks, panel moderator Paul Wells (Maclean’s Magazine) said, “Every shopping mall needs a Thai Express, a Roots and an Innovation Panel.” The COU Symposium was in York’s Osgoode Professional Development Centre located on the 26th floor of the north tower of the downtown Toronto Eaton Centre shopping mall. While the public are the ultimate beneficiaries of public policies informed by the research of the Ontario Research Chairs the COU Symposium was open to the public but the public did not attend. Why is that? Knowledge brokers are ultimately concerned about maximizing the impact of research on society yet we broker almost exclusively between institutions. In 2009 we published a whimsical paper that presented lessons learned from knowledge mobilization with inspiration from Machiavelli and Dr. Seuss. Lesson #1 was: Concludero’ solo che al principe, e necessario avere il popolo amico – I will conclude then that it is necessary for the prince to have the people as friends. The lesson here is “no silo research. Research partnerships must be broad and most importantly, engage the people impacted by the outcome.” York embodies this by hosting Mobilizing Minds, a five year knowledge mobilization project working with a number of universities and community partners seeking pathways to young adult mental health. Young adults are part of every stage of the program and have a voice on each committee including the leadership committee. Our strong presence in social media (@researchimpact, this blog, our You Tube channel) also connects our research to a very broad public. Engaging the people affected by the outcome is great but why don’t we take research to the broader public beyond our social media? Why don’t we place an innovation panel in a shopping mall? The Canadian Institutes of Health Research program Café Scientifique funds Canadian health researchers taking their research to public spaces like coffee shops or bars so this is happening on an individual researcher basis. On February 15, UBC hosted presentations by 13 Canada Excellence Research Chairs (CERC), some of the leading researchers globally in their fields. Each CERC spoke for 5 minutes and it was open to the public but it wasn’t in a mall. 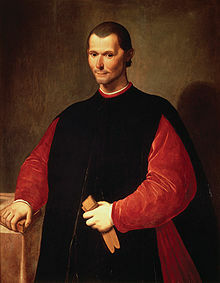 What if we learn from Machiavelli and combine the public access of Café Scientifique with the open access of the CERC presentations and hold a special presentation of the eight Ontario Research Chairs in a shopping mall to complement their engagement with policy makers? Imagine sitting in the food court of your local mall eating at Thai Express and listening to leading research that had relevance to your life? I would pair each Ontario Research Chair with a journalist who would turn the “wow” of research into “so what” for the public. Five minutes where you get not only research steak but research sizzle as well (thank you Jeremy Burman). This would help meet the goals advocated by Gary Myers (@KMbeing) who takes a more holistic view of knowledge mobilization encouraging everyone to share their own knowledge for social benefit. It might not turn research into action (we’ll leave that to the policy makers) but it would turn research into attention. “Sizzle vs. Steak” and the Misunderstanding of MemesWhat is Knowledge Mobilisation and Why Does it Matter to Universities?